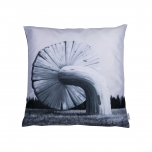 The work of one of the most famous artists in Estonia called Navitrolla has printed on these special pillows. He is known for his unique paintings full of fantastic landscapes and absurd animals. 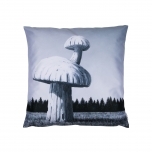 Along with these comfy pillows you will get to bring home a special piece of Navitrolla's fascinating and amazing world. SKU: 02	, Delivery time: Delivery time depends from destination. SKU: 02-06	, Delivery time: Delivery time depends from destination. SKU: 02-05	, Delivery time: Delivery time depends from destination. 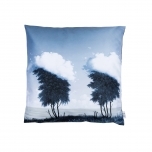 Decorative, accent & throw pillow from Navitrolla Collection. 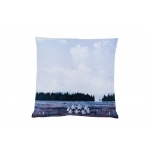 The work of one of the most famous artists in Estonia called Navitrolla has printed on this special pillow. He is known for his unique paintings full of fantastic landscapes and absurd animals. 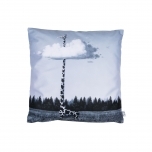 Along with this comfy pillow you will get to bring home a special piece of Navitrolla's fascinating and amazing world. 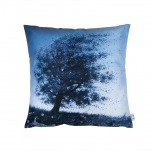 The pillow cover is made of high quality velour, which is a stylish fabric, soft to the touch and it brings perfectly out multi colorful pictures. You can easily remove the insert to wash the pillow cover. The recommended washing temperature is 40° C.
SKU: 02-04	, Delivery time: Delivery time depends from destination. SKU: 02-3	, Delivery time: Delivery time depends from destination. SKU: 02-1	, Delivery time: Delivery time depends from destination.